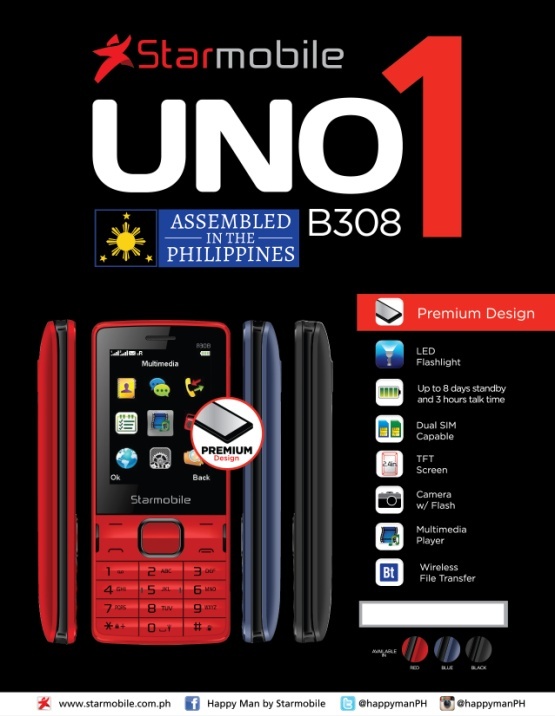 Filipino mobile brand Starmobile recently announced the availability of two new featurephones that are assembled in the Philippines - the affordable UNO B208 PH Edition and the elegantly-looking UNO B308. The UNO B308 exhibits premium design with big and beautiful TFT screen. Boasting up to 8 days of standby time and 3 hours of talk time, the UNO B308 is also rigged with camera with flash, multimedia player, and LED flashlight. 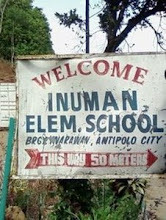 It is for sale for Php 699. 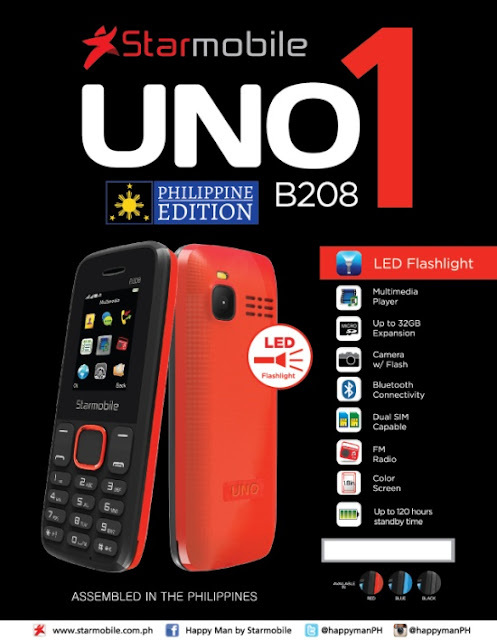 Meanwhile, the UNO B208 PH Edition is a dual-SIM feature phone powered with a long battery standby time of up to 5 days or 120 hours. It is equipped with FM radio, camera with flash, and multimedia playback and retails for Php 599. These two Starmobile devices are the first models to come out of its factory in Calamba, Laguna since starting operations in June 2017. The UNO B208 PH edition and the UNO B308 will be part of Starmobile’s ongoing STAR-Tagal promo. Until December 31, 2017, customers who purchase any Starmobile product can get a chance to win over P4 million worth of prizes, tax-free. 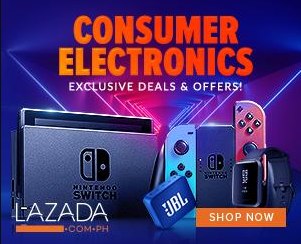 These include hundreds of new Starmobile devices, home appliances, 8 Honda motorcycles, 2 brand-new Toyota cars, or Php1,000,000 in cash.